The first step in creating a nurturing multilingual family environment is to embrace family languages and cultural traditions as precious gifts to pass on to our children. Such linguistic and cultural gifts make family interactions and communication both rich and complex. With proper guidance, all family members can contribute to enhance the power and the advantages of speaking many languages in order to enjoy the family, social, cultural and professional benefits of multilingualism. Speaking many languages is and will continue to be a main advantage in tomorrow's workplace. Dr. Parra Velasco is the founder of MFRC. 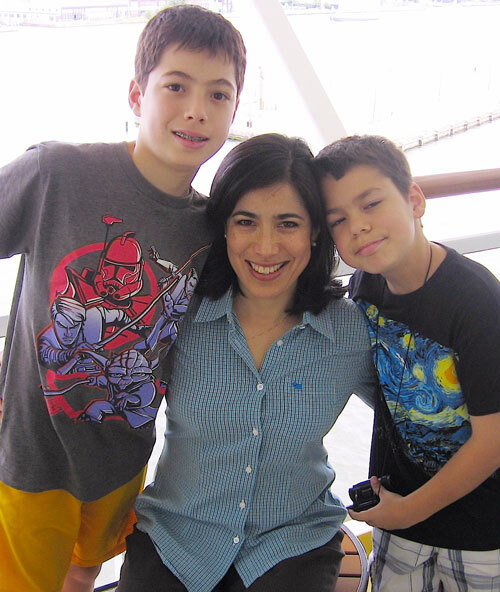 A native Spanish speaker from Mexico City and a mother of two bilingual and bicultural teenage boys, Dr. Parra Velasco is fascinated by the complexities and joys of multilingual and multicultural development and family dynamics. She works with multilingual families from an integral perspective of family life and child development, where all members contribute to the wellbeing and growth of healthy of multicultural identities for the 21st century. She is experienced working with teachers, community and cultural organizations that wish to understand and enhance their students' and member's road to multilingualism and multiculturalism. She has a B.A. in Psychology, a Ph.D. in Hispanic Linguistics, and a post doctoral fellowship at Stanford University School of Education. She has fifteen years of experience in the fields of second language acquisition, child bilingual development and home language maintenance. She currently holds a faculty position at Harvard University and has published in leading journals in the field of heritage languages and education. She was coordinator of the Home-School Connection Program at the Elliot-Pearson Department of Child Development at Tufts University where she looked at the various ways in which parents and teachers supported transitions, school adaptation and academic success.